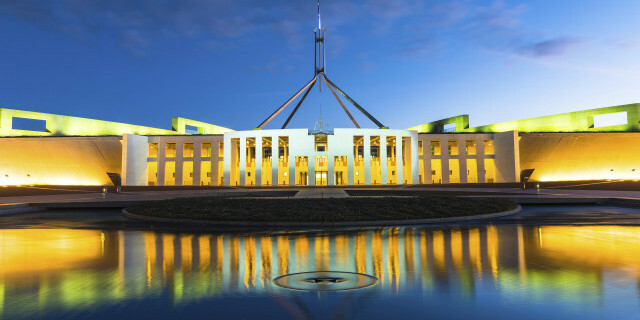 The 2019/20 Federal Budget was delivered by Treasurer Josh Frydenberg on Tuesday 2 April 2019. The announcement was delivered a month earlier than usual, due to the impending Federal Election to be held in May. The Budget outlines how the Government plans to raise and spend money over the coming 12 months and was also used to make significant policy announcements. The Budget Speech portrayed the budget as ‘back in black’, when in reality the budget isn’t yet in surplus and is only forecast to be in surplus in the 2019/20 financial year. We won’t actually know if they hit this target until September 2020. The country’s net debt is not expected to reduce to zero until 2029/30 and is forecast at $326 billion at the end of forward estimates. Compared to the 2018/19 Budget, there were relatively few proposed changes affecting superannuation and retirement. There were, however, many pre-election sweeteners included within the Budget to help woo-over voters, including tax cuts. The 2019/20 Budget delivered generous changes to voluntary super contributions that will see Australians aged 65 and 66 able to make voluntary super contributions, both concessional and non-concessional, without meeting the Work Test. Those up to and including the age 74 will also be able to receive spouse contributions - currently, the age limit is 69. The new rules could theoretically allow extra contributions of up to $500,000 for a couple. The Fair Work Ombudsman will receive funding to address sham contracting arrangements which have been created to allow employers to avoid payment of statutory obligations, such as the Superannuation Guarantee. The Government will increase funding for the ATO to ensure on-time payment of superannuation liabilities by larger businesses and high-wealth individuals. The Budget announced changes to the opt-in insurance arrangements for members under the age of 25, initially proposed as part of the Protecting Your Super Package. This will allow funds more time to engage with members who will be impacted by the changes, extending the commencement date from 1 July 2019 to 1 October 2019. The Protecting Your Super Package was announced in last year’s Budget and has already seen some of the proposed changes passed into legislation, including consolidation of accounts. While not a change to policy in itself, prior to the Budget Speech, Treasurer Frydenberg committed to maintaining the current schedule of increasing the Superannuation Guarantee to 12% by 2025. See what this increase to the Super Guarantee could mean for your retirement here .